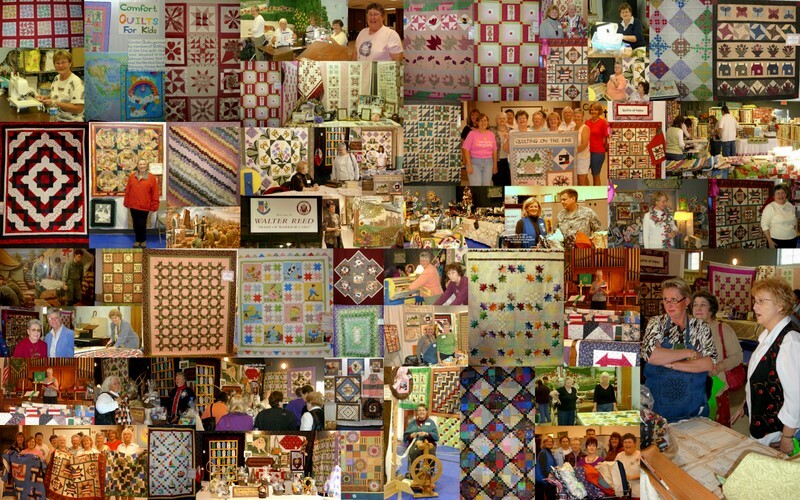 Quilting on the Line was founded 28 years ago in January 1991. The guild’s name was decided upon because half of our members live in MD and half in PA, with meetings taking place within a mile of the state line. The first meetings were informal and were held at the Needle and Quill in Delta, PA. Later meetings were held at the Slate Ridge Church, Delta Senior Center and the Salem United Methodist Church in Delta, PA. During 2009, the guild moved it’s meetings to the Fawn United Methodist Church. Beginning in January, 2015, the guild met at Fawn Grove Church of the Nazarene in Pylesville, MD. Most recently, guild members voted to move its meetings to the Norrisville Volunteer Fire Company beginning February, 2019. 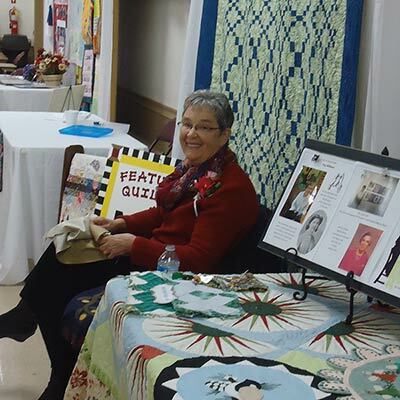 Quilting On the Line currently has an enrollment of more than 80 members. 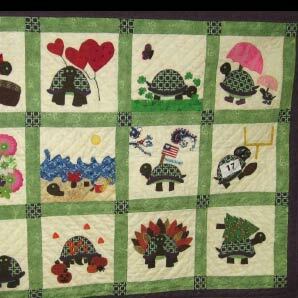 Our guild is a warm and welcoming, casual group of friendly quilters of all skill levels. Our programs may include a workshop, lecture by a guest speaker, game night or a sit and sew. July and November meetings are scheduled for “pot luck” dinners. January is usually our guild member BINGO game, while February is generally our member-led demonstrations meeting. All other meetings include a presentation by a professional lecturer. We meet monthly (except December). There are a number of ongoing projects in which members are invited to participate. 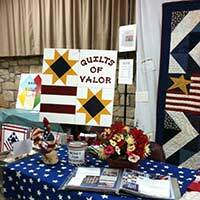 Projects vary each year, but may include a Challenge, Round Robin or Row Robin, Block Exchange, Mystery Quilt, group projects for fundraisers and more. We have a great show and tell because we have some very talented ladies in our guild. 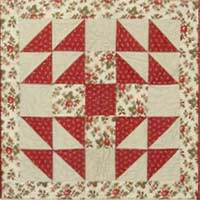 The quilting styles of our guild members including traditional quilts, modern quilts, art quilts and every other style imaginable. We invite you to join us as a guest and look forward to seeing you at our next meeting. Inclement Weather Policy: If public schools in either Southeastern School District of York County, PA or Harford County, MD are closed or dismissed early, the meeting is cancelled. The meeting may also be cancelled at the discretion of staff members, in which case a notification will be sent to all members via email and an alert will be posted on the website. Our guild is committed to giving back to the community. We donate funds to charitable organizations, such as Mason Dixon Community Services. 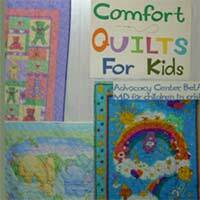 We also make quilts for many different outreach programs, such as Comfort for Kids program at the Lehman Center of York and the Harford County Advocacy Center in Bel Air. Early in the year, a “challenge project” is announced. Participants receive the same set of rules for a project they are to make. 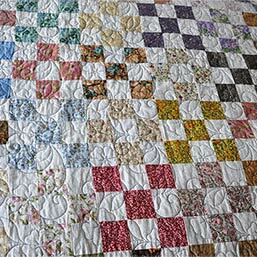 Each quilter has the liberty to make the project of their choosing, so long as they follow all the rules. At the end of the year, we all bring our completed projects to share. It’s so much fun to see such creativity. Each participant starts by making their own quilt block which is the center of their quilt or a row. 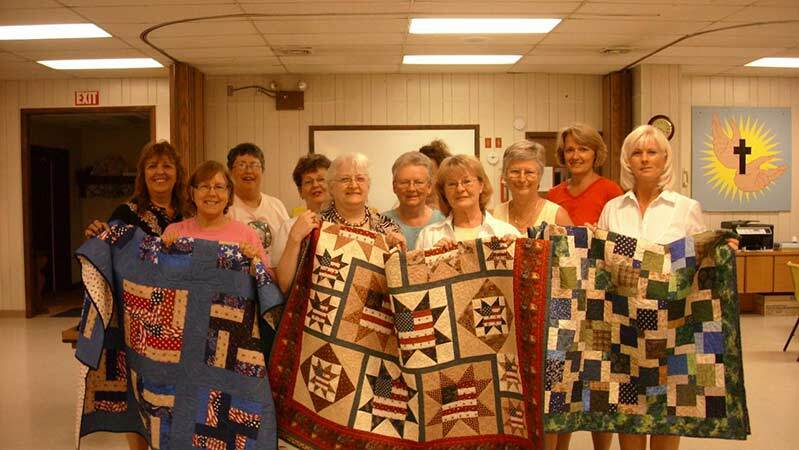 Each month, their starter project gets exchanged with other quilters, and each quilter adds something new to the quilt. The owner of each project does not see the finished project until the big reveal event at the end. 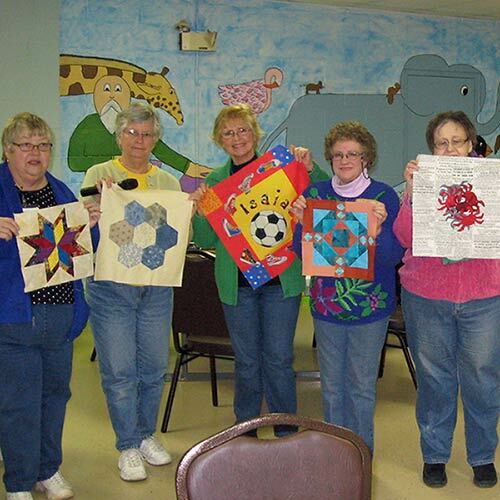 Members make quilt blocks and then swap with other members. In the end, you receive an assortment of blocks that you can arrange to make into a beautiful quilt! It’s always fun to see what each participant comes up with, and special to own a quilt made by many hands as a shared project. 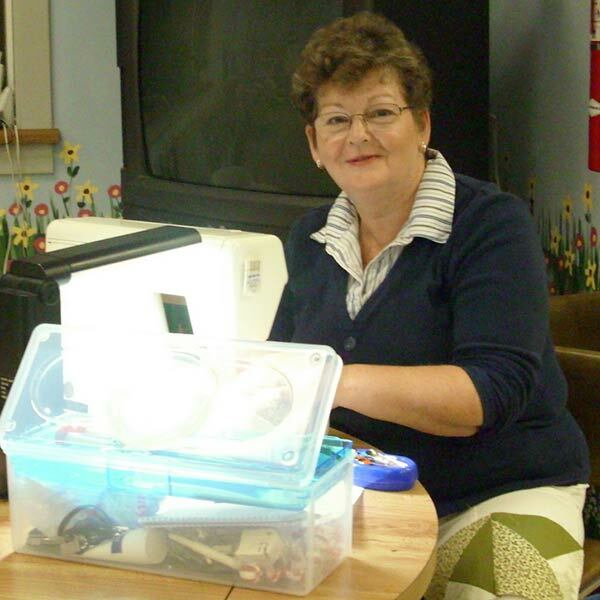 Sew Sisters is a bee that meets monthly at the Whiteford library 10am-4pm. Bring any project that you like along with your sewing machine and supplies, and enjoy the company of others while you sew on your own. Click here for an upcoming sew dates schedule.